Andrew W. Piasecki, MD, is a graduate of Johns Hopkins University in Baltimore, Maryland, with a Bachelor of Science in biology. He earned his medical degree from the Lewis Katz School of Medicine at Temple University in Philadelphia, and completed his orthopaedic surgery residency at Texas Tech University/William Beaumont Army Medical Center in El Paso, Texas. Board certified in orthopaedic surgery with sub-specialty certification in sports medicine by the American Board of Orthopaedic Surgeons, Dr. Piasecki served as an orthopaedic surgeon with the U.S. Army Medical Corps at Moncrief Army Community Hospital in Fort Jackson, South Carolina, and deployed to Kandahar, Afghanistan for Operation Enduring Freedom as deputy commander of Clinical Services for Detachment, A-249th General Hospital. He received the Combat Action Badge and Bronze Star Medal for this service. 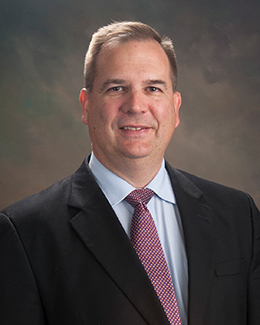 Dr. Piasecki most recently served on the board of directors for the South Carolina Orthopaedic Association and is a past president for the organization. He was chief of the Department of Surgery at Kershaw Health in Camden, South Carolina, and the managing partner of Camden Bone and Joint in Camden, South Carolina.